Jivox, the leading data-driven platform for personalized digital advertising, today unveiled a strategic partnership and technology integration with AppNexus, the world’s leading programmatic platform for buying and selling digital advertising. The market leaders have joined forces to deliver the industry’s most comprehensive personalized digital advertising solution through the seamless integration of Jivox’s dynamic creative platform with the AppNexus Programmable Bidder. Retargeting, also known as remarketing, is a simple form of online advertising that allows brands to “follow” consumers after they’ve left a website to encourage their eventual purchase. In today’s retargeting ad campaigns, the process of creative optimization and personalization is disjointed from programmatic media buying. Most often, media buying is unaffected by the wealth of data and sophisticated algorithms used to optimize creative, as well as the outcomes and engagement data on users that can help inform brands who to target as well as determine which groups or profiles of users are engaging most with the brand’s advertising and likely to purchase. With the integration of the AppNexus Programmable Bidder and Jivox dynamic creative platform, however, these functions have been connected. Today, the companies have unveiled a key new feature – Dynamic Audience Scoring™ – that enables this tie-in. With Dynamic Audience Scoring, the Jivox IQ dynamic creative platform instantaneously pinpoints and “scores” – within 10 milliseconds – the most qualified set of users based on a wide variety of data triggers, including activity on the brand’s site, third-party data, contextual signals (e.g., the weather at a user’s location) and their engagement with the brand’s advertising. Jivox applies sophisticated algorithms to score users of this data and can now push those valuations in real time to the AppNexus Programmable Bidder. The combination of Jivox IQ with the AppNexus Programmable Bidder enables media buying to be adjusted in real time to most effectively retarget these individuals with more relevant messaging, products and offers reflective of the kind of engagement they had with the brand. Dynamic Audience Scoring delivers significantly greater performance and ROI in campaigns by informing the media-bidding algorithms – in real time – of individuals and audiences that are outperforming others, essentially enabling the creation of new high-value audience clusters. AppNexus is an internet technology company that enables and optimizes the real-time sale and purchase of digital advertising. Its real-time decisioning platform supports core products that enable publishers to maximize yield; and marketers and agencies to harness data and machine learning to deliver intelligent and customized campaigns. 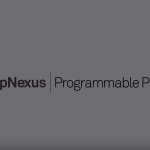 The AppNexus Programmable Bidder enables buyers of digital advertising to upload data directly to the AppNexus open platform, and test and refine algorithmic strategies to optimize campaign results. The Dynamic Audience Scoring offering is available immediately. 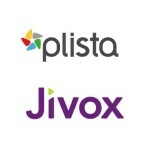 Jivox enables the world’s top brands to deliver highly personalized digital marketing experiences. The company’s flagship Jivox IQ™ is the industry’s first platform designed to deliver dynamic ads at scale for programmatic media across all formats and screens. With its unique ability to integrate first-party, audience and contextual data, the Jivox IQ platform creates personalized digital ads in real time – customized to the individual – by dynamically generating thousands of creative and messaging variations at scale. Several hundred leading companies today use Jivox, including Bayer, Bose, Condé Nast, Toyota, Johnson & Johnson, REI, Sony, Time Warner Cable and Universal McCann.